It is odd to reflect that there are some novelists who are admired for most un-novel-like qualities. It is even odder to reflect that some novelists have been inflicted upon generations of schoolchildren, who have not a hope in hell of understanding what the novelist is really on about. Both these oddities seem to me to apply to the nineteenth century New Englander Nathaniel Hawthorne (1804-64). Hawthorne wrote some things specifically for children. I can remember a kindly teacher giving me Hawthorne’s Tanglewood Tales – his retelling-for-children of Greek legends – to keep me quiet in “study” periods when I was about twelve. 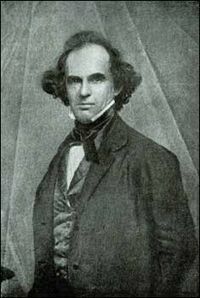 But Hawthorne’s reputation rests on his short stories for adults, and on two of his novels, The Scarlet Letter (1850), generally regarded as his masterpiece, and The House of the Seven Gables (1851). His two later novels The Blithedale Romance (1852), about a failed experiment in communal living, and The Marble Faun (1859-60), a rather fey fantasy set in Rome, tend to be read by the specialists only. Some years ago, to while away a summer week, I read my way through all four of these novels, and a very good Oxford Classics selection of Hawthorne’s short stories called Young Goodman Brown and Other Stories. Hawthorne has one quality very rare in nineteenth century novelists. His novels (or “romances” as he preferred to call them) are very short. Shorter even than the average twentieth century novel. What I judge to be their “un-novel-like” quality is the fact that they are situations, not plots. Rather than things happening in them, things have happened, and we are then presented with a static scene as characters interact in a minimal way, until a late burst of action rounds it off. Anterior narrative rules. 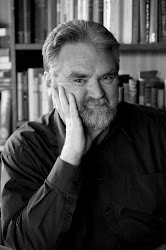 This is certainly true of The Scarlet Letter – the “sin” that blights Hester Prynne has happened before the novel begins, and hangs over the Puritan settlement like a miasma – and it is true of my favourite Hawthorne novel The House of the Seven Gables. If I were to iron out its “situation” as a plot, it would sound like this. In the nineteenth century, the formidable house of the title lies under an ancestral curse. The seventeenth century Puritan Colonel Pyncheon cheated Matthew Maule out of the land on which the house was built, by having Maule executed for witchcraft. Before he died, Maule laid a curse on Pyncheon and all his descendants. Now, two hundred years later, the Pyncheon family have come down in the world. They never did discover the deeds to the vast tracts of land that would have made them rich. The house’s present occupants are genteel old Hepzibah Pyncheon, sadly reduced to running a shop to make ends meet, and her feeble-minded, but oddly visionary, brother Clifford, who has been in prison for thirty years for a murder he probably didn’t commit. These two, who are ill-equipped to defend themselves, are preyed upon by their rich, rapacious cousin Judge Jaffrey Pyncheon. The judge believes (wrongly) that Hepzibah and Clifford are wilfully concealing the deeds, and he thinks he will be able to cheat Clifford out of them. This is the situation, or “argument”, as writers of epic poems would have said. The novel’s action really begins only when new life comes to the gloomy house in the form of another cousin, the bright, optimistic, young Phoebe Pyncheon, and the “daguerrotypist” (i.e. photographer) Holgrave, who lives in one of the gables. After all the foreboding family curse stuff, the novel has a happy conclusion. The deeds to the land are eventually discovered, but Maule’s curse is fulfilled when Judge Jaffrey Pyncheon suddenly dies of what seems to be hereditary apoplexy. Hepzibah and Clifford flee from the judge’s corpse, and from the gloomy old house, in search of a new life. They return for a reconciliation with the forgiving Maule descendants, one of whom turns out to be Holgrave. The union of Phoebe and Holgrave buries the family curse. Even to tell the story this way is to make it sound more coherent and incident-filled than it actually is. As always, Hawthorne’s conception is essentially static and pictorial, as if he has imagined an ideal situation but has not worked out the means by which it can be dramatised. But in this case, the stasis is thematically appropriate. The leading characters, beholden to their past until the spell of the past is broken, are simply unable to do anything or to develop in any meaningful way. For us, ancient family curses seem to be the stuff of fairy-tale rather than of serious adult fiction. Yet I think I would agree with Kay Redfield Jamison’s hunch in Touched with Fire, her analysis of manic-depression and artistic creation [look it up on the index at right], that nineteenth century tales of ancestral curses often encode something else – namely hereditary mental disease, the genetics of which were not understood at that time. Clifford’s manic feeble-mindedness and Judge Pyncheon’s apoplexy would suggest so. I would add something else to the novel’s thematic mix. There is in the nineteenth-century Hawthorne an ambiguous love-hate reaction to real historical Puritanism. Sober and conscientious and carefully accounting for morality and sin, Hawthorne himself has many of the reflexes of a Puritan. Certainly, like all good Puritans, he gets upset about aspects of Catholicism in his Roman novel The Marble Faun and doubts whether it is as “real” a form of Christianity as Protestantism is. Yet Hawthorne was a direct descendant of the notorious Puritan Judge Hathorne who had condemned “witches” to death at Salem. [Some sources say the novelist deliberately changed the spelling of his name to Hawthorne as he was ashamed of the connection.] He was fully aware of the destructive, fanatical side of Puritanism. The novel’s premise of the execution of Matthew Maule for witchcraft, and the dishonest motives that led to it, are an acknowledgement of this. As this inadequate summary might already have indicated, this novel reeks of symbolism. When Phoebe and Holgrave blissfully tend a garden together, we have not only an image of growth in opposition to the other characters’ moral stasis, but an evocation of a sinless Eden. Of course Phoebe’s very name links her with the sun (“Phoebus”) and hence with life, growth and development. It occurs to me that at least one other American novelist chose this same name to indicate the same qualities in a girl – in Salinger’s The Catcher in the Rye, Holden Caulfield’s lively little sister, representing new and unaffected life, is called Phoebe. More intriguingly, though, I note that Dickens wrote Bleak House just a year after Hawthorne’s novel appeared. As you might remember, that too has a young woman symbolically named after the sun, Esther Summerson (= summer sun), helping to destroy the inherited gloom surrounding an old estate. I can’t help wondering if Dickens had read The House of the Seven Gables before he set to work. In manic, visionary Clifford I think I hear the first authentic American “Beat” poet or biker – “Man, ya gotta move!” – a century avant la lettre. So that’s what became of American Puritanism. It went on the road and wrote poems about thorny flowers outside armaments factories and forgot curse-haunted houses that had been poisoned for two centuries. Irrelevant footnote: For the record, and just because I haven’t mentioned it, I’m aware that the physical house of the seven gables in the novel is based on a real house which apparently belonged to Hawthorne’s married sister, and which is now a Salem museum and tourist attraction. There now. You’ve learnt something that adds not a whit to your appreciation of the novel itself.